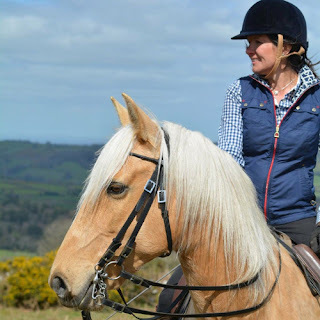 Personally, I had found that trying to find a saddle to fit my Lusitano was an on-going challenge over the years; we have been through many different options, none of which have quite cut the mustard. I needed a saddle that was suitable for a lot of demanding work in the arena and very challenging hacking out over the moor. Along with my own young PRE and heavy weight cob, plus all of the horses I have in for starting, rehabilitation and training, I was gathering quite a collection of saddles - all of which were more of a ‘make do’ than I was happy with. I had been scared off treeless options in the past having seen problems with them, but also recognised the inherent challenge of putting a fixed object between two moving beings, and that unless the tree fitted perfectly (which seemed to be a rare occurrence!) it often caused significant issues. I was finally persuaded to try a SMART Saddle by a fellow trainer and I haven’t looked back. They are unlike any other treeless saddle I have previously tried; providing stability for the rider and supporting their weight while also allowing the horse to move. I initially bought a SMART Sport Dressage saddle, but have since invested in a SMART Pro Dressage saddle. With a variety of SMART Balance pads, I am able to use this saddle with all three of my horses as well as visiting horses.